As recreational marijuana laws are considered across the country, many opponents voice concerns about the increase in auto accidents which might be attributable to impaired driving. There is some evidence to suggest there is a connection between legalized recreational marijuana use and an increase in accident rates, but it’s not conclusive. What is certain is that injury victims have the legal right to be compensated for losses they sustain as the result of Oregon car accidents caused by the negligence of others – including marijuana impairment. Just because a substance is legal does not absolve a person of the duty to operate their vehicle in a reasonably safe manner. When someone has been injured, it is imperative that they have an attorney on their side who has their best interests in mind. At Zbinden & Curtis, all accident victims deserve representation, and compensation for the injuries and suffering they have endured. The American Journal of Public Health reports on a study of auto accident rates in Washington, Colorado, and eight control states between 2009 and 2015. The study found that all 10 states had similar accident rates in 2009. This trend continued after the legalization of recreational marijuana use in Washington and Colorado – indicating that no reportable increase in accident rates occurred as a result of the change in law. This is merely one study, and longer periods of analysis must be obtained to determine the accuracy of this trend. It is nonetheless important to note that the preliminary data has found no increase in auto accident rates as a result of legalized recreational marijuana use. There are many types of drugs by which a driver may become impaired. The accident statistics on these classes of drugs are very different. The Washington Post reports that 2015 was the first year in which drugged driving with substances other than marijuana caused more traffic fatalities than drunk driving. Columbia University’s Mailman School of Public Health reports that the number of opioid-impaired drivers who caused fatal traffic accidents increased seven times between 1995 and 2015. In contrast, the impairments caused by marijuana involve reduced cognitive ability and reaction time, there is no data that confirms smoking and driving causes more traffic accidents. Other drugs and substances, including alcohol, pose much more of a risk. However, it is always safest to choose to not smoke and drive. The problem has received much media attention nationwide, and Business Insider reports that the governors of Arizona, Florida and Maryland have all declared states of emergency in order to grant them access to federal grant money through the Department of Health and Human Services. Opioids continue to be a highly dangerous problem for drivers across America. It is a criminal violation of Oregon law (Oregon Revised Statutes 813.010) to drive while under the influence of a controlled substance. This includes recreational marijuana. Unfortunately, Oregon – like other states – has not been able to set a specific blood level at which intoxication may be inferred. This is because scientists have not been able to definitively identify a uniform amount of marijuana at which most humans are intoxicated, the way they have been able to with alcohol. The lack of a set blood level makes it difficult for prosecutors to prove that a defendant was under the influence of marijuana while driving. Additionally, a defendant’s tolerance level to THC may prevent notable signs from appearing. However, any social media activity encompassing the time of the accident can reveal whether or not the defendant was driving under the influence of a controlled substance. This could include bragging, live streaming, or photos providing live evidence- as discussed in a recent USA Today article. Nonetheless, injury victims have the right to be compensated by impaired drivers who cause auto accidents. 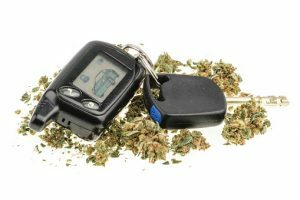 This compensation is usually available regardless of whether the defendant is ultimately convicted of driving under the influence of marijuana. If you or a loved one has been injured in a collision, contact an experienced Portland auto accident attorney as soon as possible. Oregon law protects your right to be compensated for injuries and losses.